An issue at all levels. Pace of play is an issue at all levels of golf—from the local muni to the PGA Tour. And it goes to the heart of the game: playing at a comfortable pace is the most fun. Here at The TOUR, we're not perfect, and we sometimes have slower rounds than we like, but we do everything we can to avoid that. Every event. We are guests at every course we play. 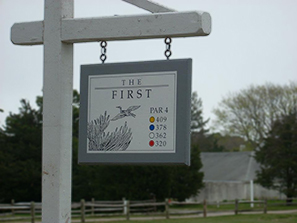 As a club without real estate, we are guests at every course we play. If we become known as a club that clogs up a course, that routinely takes 5-6 hours to complete our rounds, then we won't be able to book the great courses that we book every year. Maintaining an acceptable pace of play in every event is critical for us. The TOUR expectation. We believe a foursome should be able to play a round of tournament golf in no more than 4.5 hours, assuming that group is not impeded by the group in front of them. That's a maximum. We also believe that all players should play ready golf. This is the standard for our club. The TOUR rules. We don't just talk about pace. We enforce it. If a group plays in more than 4.5 hours, and reports in more than 16 minutes behind the group in front of them (meaning that the group was a full hole behind), everyone in the group is assessed a 2 stroke penalty. And a group that plays in over 4:45, and is over 30 minutes behind the group in front of them, is disqualified. (Note—this is a slight simplification—the complete rule is available in our club handbook which is available to all Members). Are we the right club for you? If you think that every putt needs to be read from 17 different angles, if your pre-shot routine would make the average PGA Tour pro mutter "while we're young", if you're perfectly happy standing around waiting to hit because the person who "has the honor" is answering the call of nature, then The TOUR is probably not the right club for you. But if keeping up with the group in front of you is part of your golf-DNA, then it's time to join The TOUR.